In 2005 Jeff Feuerzeig premiered The Devil and Daniel Johnston , a compelling chronicle of the fascinating cult musician and artist, at Sundance and took home the Directing Award in the Documentary Competition for his effort. Since then he’s helmed The Real Rocky, a look at boxer Chuck Wepner, believed to have inspired the Sylvester Stallone franchise; co-written (with pal Jerry Stahl) a screenplay titled The Bleeder, about Wepner’s 1975 match against heavyweight champ Muhammad Ali; and now returns to Sundance with Author: The JT LeRoy Story. Feuerzeig recently spoke with Sundance about how he convinced Laura Albert to tell her side of the story, his love of subjective filmmaking, and how winning a Sundance directing award a decade ago affected his career. 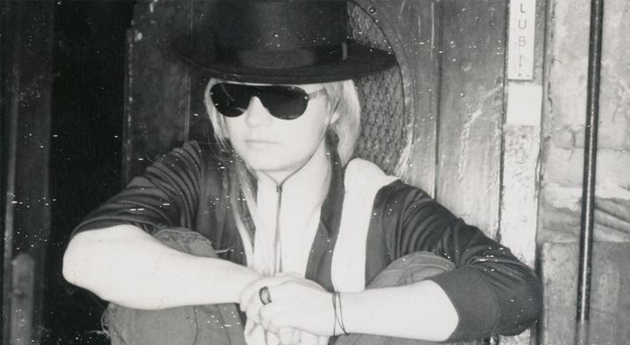 What is it about JT LeRoy’s story that continues to keep us so spellbound? When I got turned on to the story a few years ago by a friend who is a journalist — he knows how much I love unique stories — he thought I’d enjoy it. I’d heard of JT LeRoy but didn’t know anything about him. There are a lot of major publications [that] had weighed in on this story. The New York Times had covered it elaborately. Rolling Stone and Vanity Fair did a huge piece – so did Salon.com. I read all these pieces and everyone had something to say. The hook, of course, was this is the greatest literary hoax of our time. There was just one voice missing from all these elaborate think pieces and it was the person who wrote the books. She had never told her story. That was the story I wanted to hear. I sought out Laura Albert. She had been exposed by The New York Times. She had seen The Devil and Daniel Johnston and based on that she trusted me. I wanted to give her a forum to tell her story. It’s a very subjective film. I loved The Kid Stays in the Picture and Tyson and Jerry Stahl’s I, Fatty. I love first-person narration journeys. That’s the kind of storytelling I enjoy. I’m not interested in judging. I’m interested in going on an antihero’s journey. In other hands, this could easily have become an indictment against Laura. How did you convince her to let you tell her story? Very simply. She watched The Devil and Daniel Johnston and that was enough. I find the intersection of art and madness infinitely fascinating. Daniel Johnston, like Laura Albert, [is] off the spectrum. At the time I had not yet read her books. I only knew her story and wanted to know if she’d be interested. It was really The Devil and Daniel Johnston . It didn’t hurt that we’d both come out of punk rock. That meant something to her. Then I read her books. It was very important for me to experience her art. I absolutely loved the books. It didn’t surprise me. Sarah and The Heart is Deceitful Above All Things were international bestsellers. They were well-reviewed. These books were a zeitgeist moment in transgressive fiction. It’s not J.K. Rowling. This is tough material. It’s very rare to pack bookstores around the world like a rock concert. It’s tough to get 17 friends to come to a bookstore for a reading so how did this happen? [ Laughs] I’m a big Southern Gothic fan and I loved Flannery O’Conner’s writing in college. It was an aspect of literature I’d explored, along with Tennessee Williams. I was hooked by the story and I loved the art, but I wondered, ‘What’s the story behind the story? How did it happen and why did it happen?’ Those, of course, were unknowns. The one part of this puzzle that was missing is what this film will hopefully fill in. It doesn’t negate the other accounts of the story. Laura described JT as her avatar, but she had other personas, including Speedie, a confidant of JT’s. It’s quite a tangled web. How would you describe her? I can’t diagnose her. I’m not a psychologist or a psychiatrist. I didn’t diagnose Daniel Johnston, either. We learned he’s bipolar, but he has a lot of other things going on. When you’re on the spectrum of DSM-IV, and she’s on the spectrum… The point is she’s clearly super-intelligent. As an artist, she’s very, very talented. As far as where she is on the spectrum, it’s for people with bigger degrees than me to decide. The structure you use is perfect for such a complex story. It’s as if you’re peeling back layers until the full truth is revealed. The film is a tapestry. Her A-story is the anti-hero’s journey in three very careful acts I constructed because the structure of the film was very complicated to figure out because the story was so complicated. Of course, the other strand is her backstory and how it all comes together. It’s like Memento. The backstory is playing out in reverse and catches up to itself. That was by design. I give you information, you carry it with you then I give you more information. There’s hopefully satisfaction at the end when it all comes together. She gave you access to a stunning amount of archival footage. The answering machine messages left by JT’s celeb friends defending him when the exposé was published is a highlight of the film. Her archive was incredible. It’s all the photos, all the audio and almost all the video. It’s somebody who had an entire archive of her life, so it was an incredible gift for me. As a non-fiction filmmaker, my goal is to create the most immersive experience I can give you… I’m hoping that if you go along on this ride and I construct it carefully, you can forget it’s a documentary and it plays like a narrative film and I’ve done my job. That’s my goal. How do you think her books would have been received if they’d been published under her real name? It’s an unanswerable question. I’ve talked to a lot of other writers about this. If the film does anything, I hope, it takes you inside what it’s like to be the writer of fiction. What is fiction? I’m in the W.G.A. I write screenplays. Anybody who is a writer who writes characters is channeling those characters. You have to write voices. Writers write male and female voices. The characters ultimately live inside them and talk to them and they have to put it on the page. She’s hardly the first person on earth to use a pseudonym. We just now find out why she used a pseudonym. You directed The Real Rocky about Chuck Wepner, and your script The Bleeder has been made into a feature with Liev Schrieber and Naomi Watts. What’s the commonality between this and JT LeRoy and The Devil and Daniel Johnston? You seem to be drawn to very complex, enigmatic characters? They’re all different flavors. To me, story is king. When I go to the movies I want to see a well-told story with twists and turns that I can’t predict. It’s such a cliché to say this but obviously truth is stranger than fiction. I love true stories so I seek them out. I’m just trying to apply the new journalism that inspired me: Tom Wolfe, Gay Talese, Terry Southern, Hunter Thompson – those writers all blew my mind. They inspired me to try to apply that to my version of non-fiction filmmaking. I’m looking for a deeper truth. 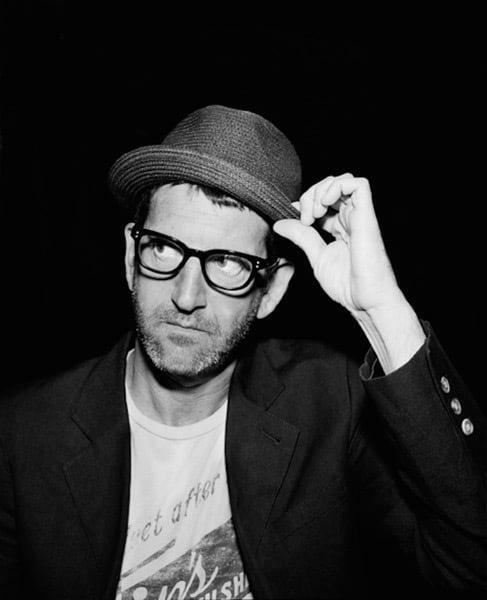 You won the Directing Award at Sundance in 2005. How did that affect your career? That put me on the map. I’ve been a commercial director my whole life, but that’s the reason The Real Rocky got made – and The Bleeder. I’m a working filmmaker because of that. I don’t write on spec. It’s the greatest thing that ever happened. It was my dream to just continue to make films and that directing prize put me on the map.